Solihull council bosses have agreed to make £33 million worth of 'savings' over the next three years. 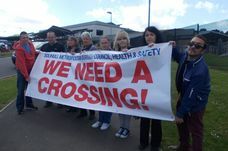 Campaigners from Solihull fighting against the privatisation of the NHS joined a mass protest this week. The newly elected West Midlands Police and Crime Commissioner vowed to put “bobbies back on the beat” after sweeping to an emphatic win in a by-election. Solihull MP Lorely Burt crossed swords with Tory Julian Knight in a branch of Morrisons. The political map of the West Midlands was transformed as UKIP stormed to victory in the European elections. A widow who left her secret £750,000 fortune to the Tory Party was branded "wicked" by a furious relative. Lorely Burt was delighted by the news of her re-selection and said she was “absolutely up for making it a hat trick” and securing a third term as the borough’s MP. AN AWARD-winning journalist and author has been chosen as the Conservative candidate for Solihull at the next General Election. LOCAL MP Caroline Spelman is calling for more to be done to tackle domestic abuse after being shocked by the high level of cases. TORY campaigners Maggie Throup and David Price are backing residents in their quest to slow traffic down on a borough road. SOLIHULL MP Lorely Burt has said the Tories will have “a fight on their hands” if they want to win the seat back at the next General Election. A TIRELESS volunteer and a Member of the European Parliament are among the Silhillians celebrating their place in the New Year’s Honour’s List.